Are you composting for your garden? 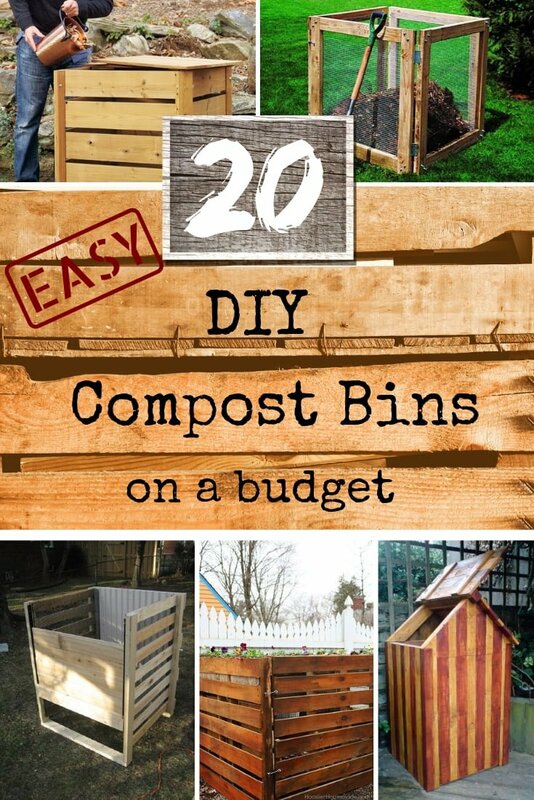 Maybe you’re just starting out and want to build yourself a decent DIY compost bin. These tutorials will help you do it the right way. Compost is an excellent supplement for your garden, and you can get it for free from waste. All you have to do is have a compost bin and add your organic kitchen waste and garden waste into it. It’s a simple process, and there are only a few things you need to do it right. Having the right compost bin is essential. 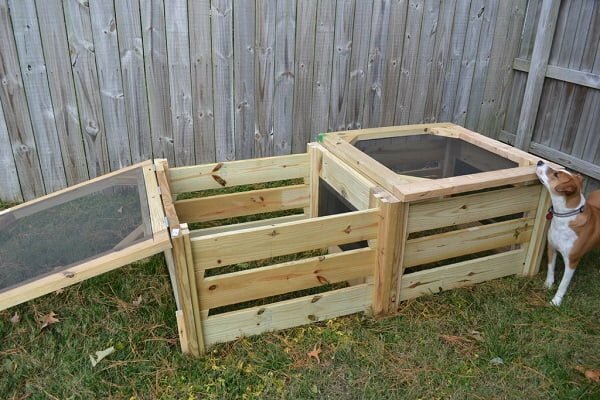 And while buying one is an option (albeit not a cheap one) you can make a DIY compost bin that perfectly meets your needs. We have picked up 20 great tutorials with plans and instructions for any level of skills. You can put together a quick bin, or you can get more involved and build a beautiful container that will look good in your garden (and, of course, do the job). The spinning DIY compost bin design will make turning food waste into compost so much more effective and faster. You can build this contraption quite quickly too. This Instructables tutorial will provide you with the details on how to do it. It will make an excellent functional addition to your backyard! It doesn’t look visually awful too. A compost bin in the backyard can be quite an eyesore. That’s why you need to build a functional but eye-pleasing unit. Using pallet wood can be an option to achieve this. 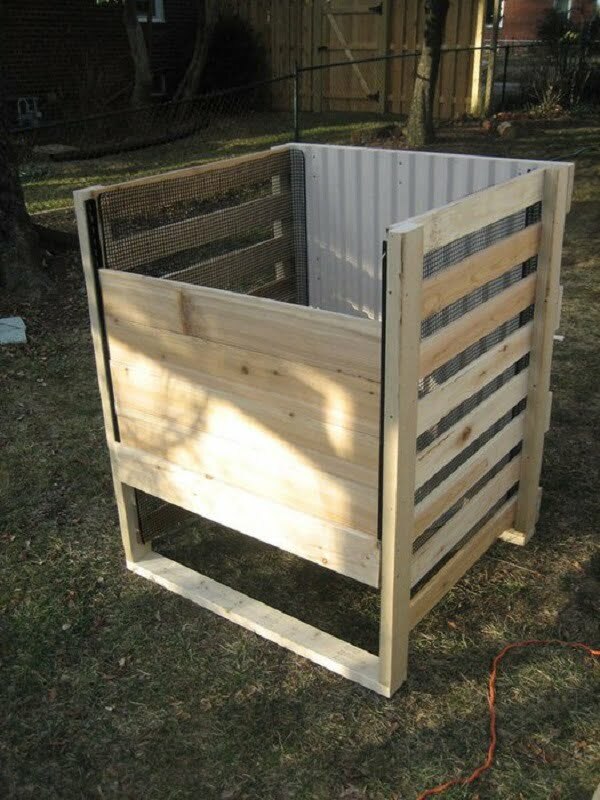 Check out this tutorial for the details on how to you can build a compost bin that doesn’t make your backyard look ugly. 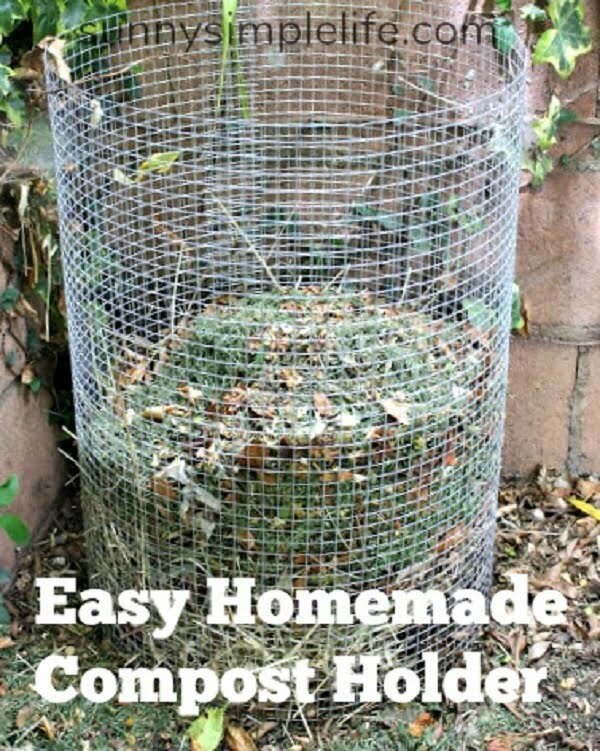 If you’re starting composting, you need a quick and simple project that you can do in a few minutes. This project is precisely that. 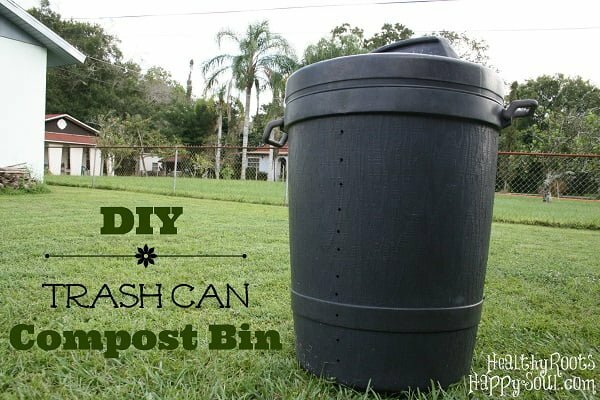 All you need to have is a spare trash can, and you can turn it into a beautiful compost bin. All details are explained in this tutorial. If you’re serious about composting, you need a big and well-made compost bin in your backyard. This is an involved project, but you can build a three sectioned container that will satisfy all your needs. It will look good in your garden too. So check out the tutorial and the plans to build this unit at home. Reusing materials is a great way to build something. Especially if that something is a DIY compost bin. 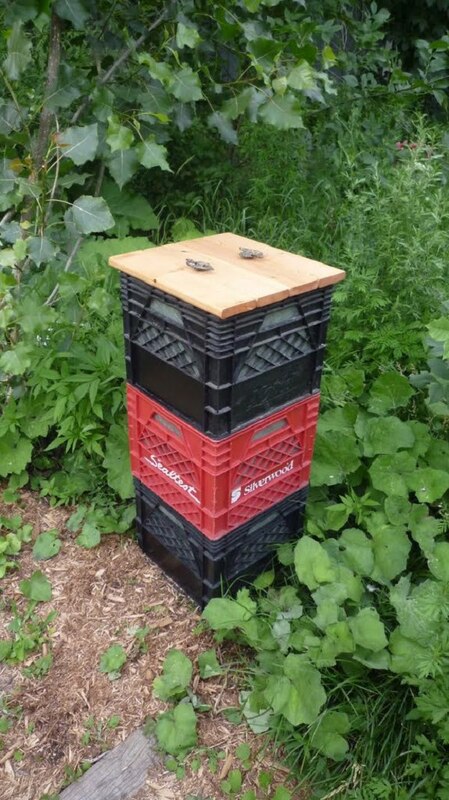 This idea of making one from milk crates will give you a quick way to start composting at home. Milk crates can make a great makeshift compost bin. Check out the details in this tutorial on how you can make one at home. 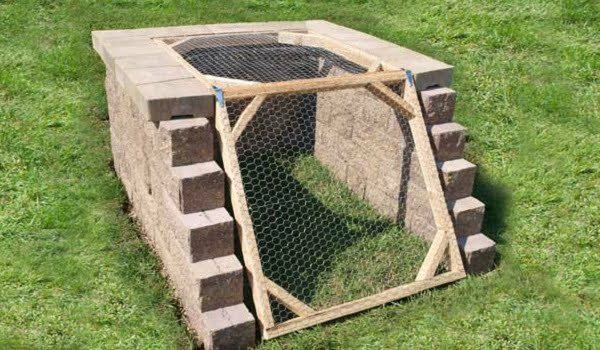 How about building your compost bin from concrete blocks? Not only you’d be getting everything you need for composting but add architectural interest to your backyard too. 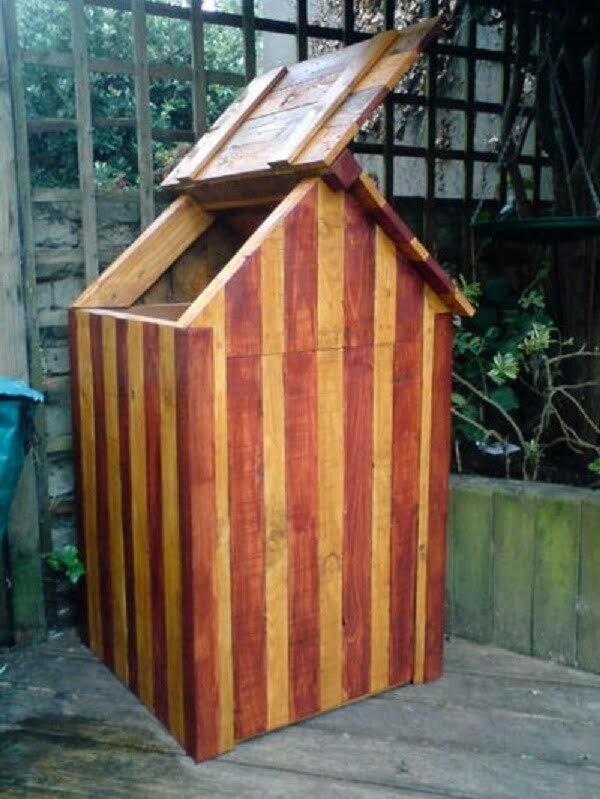 Who says a compost bin has to be ugly? Check out the tutorial for the plans and instructions. The project can be involved but going through with it is worth it. Are you an advanced composter who needs something more than just a small bin? 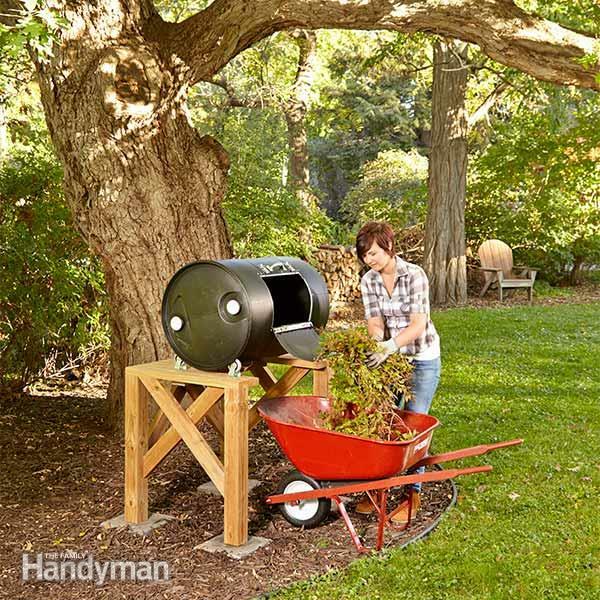 This 2-part compost bin will look good in your backyard, and it will provide you with enough container space for fast and easy composting. The two parts ensure that you can take out the finished compost while the other is still in the making. Check out the instructions on Instructables for this project. 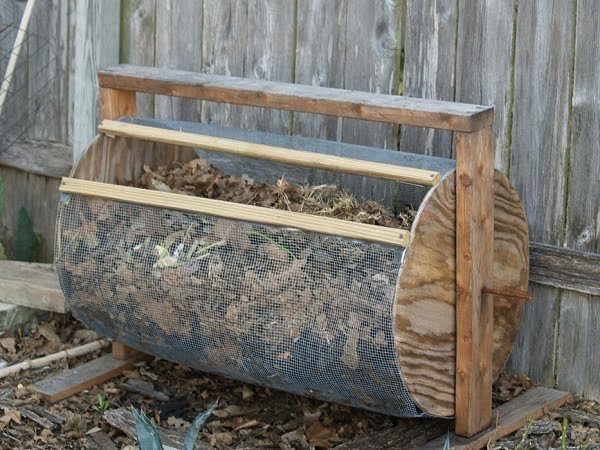 This spinning drum compost bin will ensure fast and efficient composting with less smell. The construction of this bin is brilliant. It’s easy to put waste and take out the finished compost by turning the drum. At the same time, it’s big enough and provides enough air circulation through the fence wire. Check out the instructions for this project. 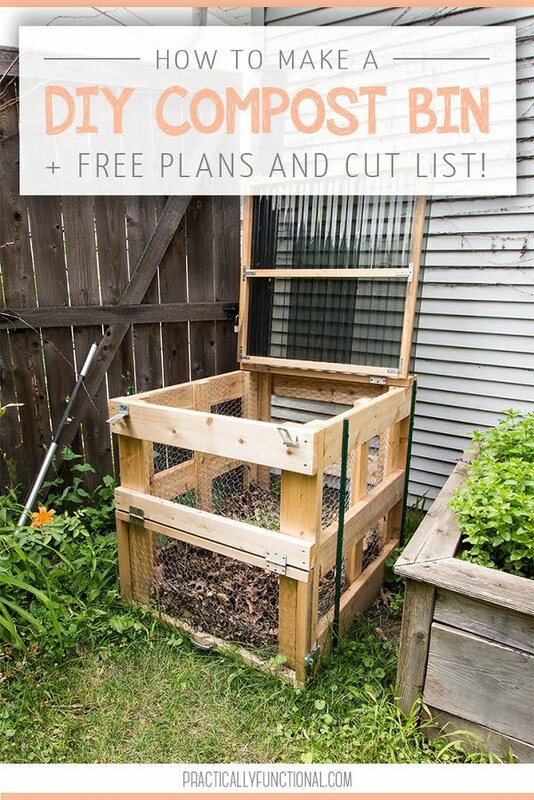 This DIY compost bin is simple – almost as simple as piling the compost on the ground. At the same time, it’s an elegant solution that you can build in one day. It provides all the functionality you need for quality compost. Check out this tutorial for instructions on how to create one. Fence wire is one of the best materials for a quality compost bin. And a cylinder has to be the most natural shape to design your container. This tutorial shows you how to do it correctly. 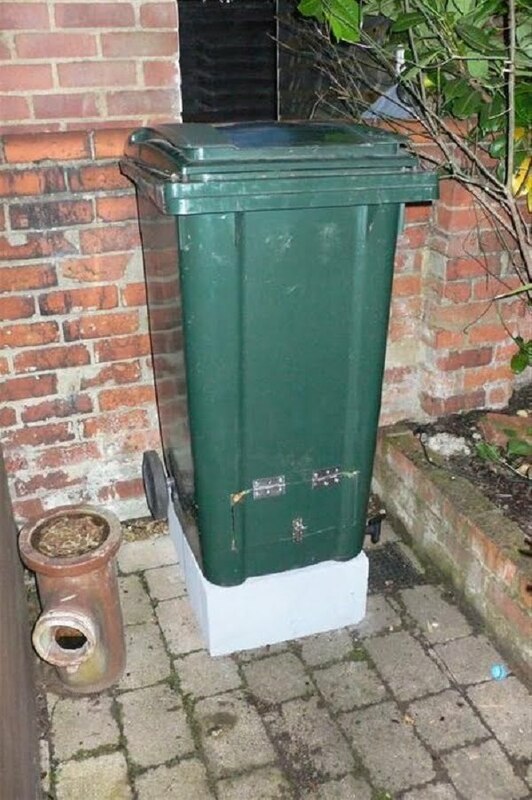 What can make a better quick compost bin than a wheely trash bin? It’s almost made to be one. All you need to do is drill some holes for aeration and access. That’s it! You have yourself a perfectly usable compost bin. Check out this tutorial on how to make one yourself. 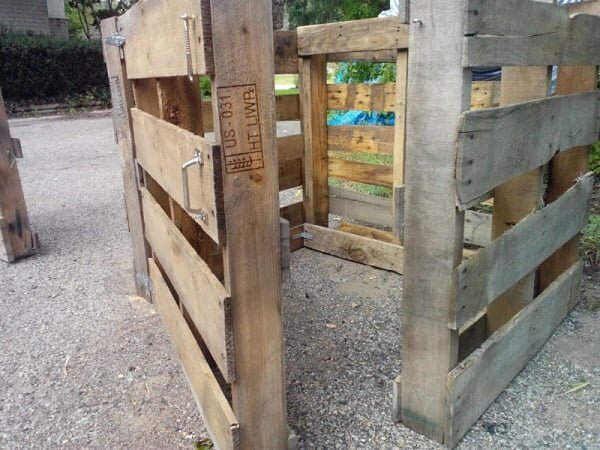 Do you want an attractive rustic feature in your backyard or garden that’s also a compost bin? This easy DIY project will help you get one. 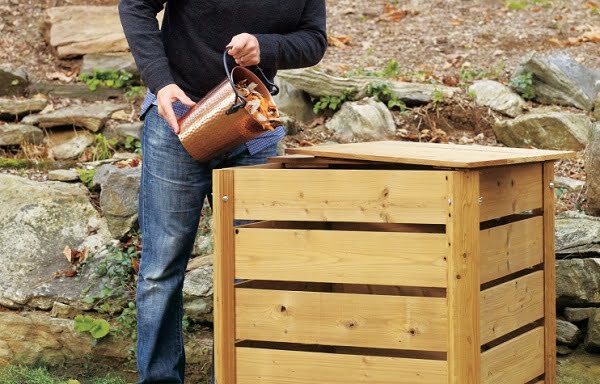 Make this bin from treated weather-resistant cedar, and you’ll be able to enjoy this bin for years. The tutorial will give you all the plans and details needed to do this project. Want to make compost as fast as possible. 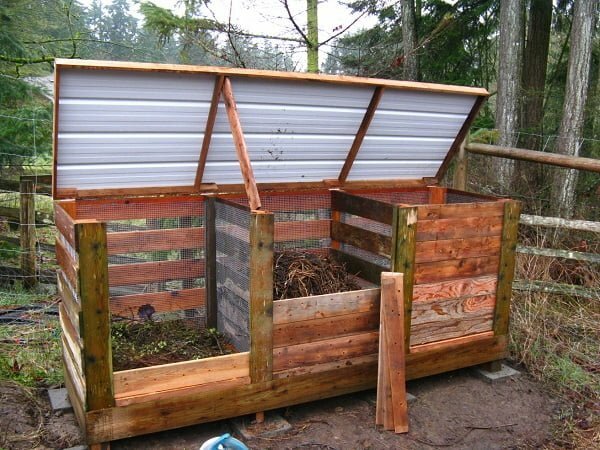 Use this 3-bin compost system that you can build yourself. The best-used material is, of course, rot-resistant cedar. Grab these plans, and you’re good to go. Check out the tutorial for all the details about this project. You can turn a bargain compost bin into a barrel tumbler in no time. 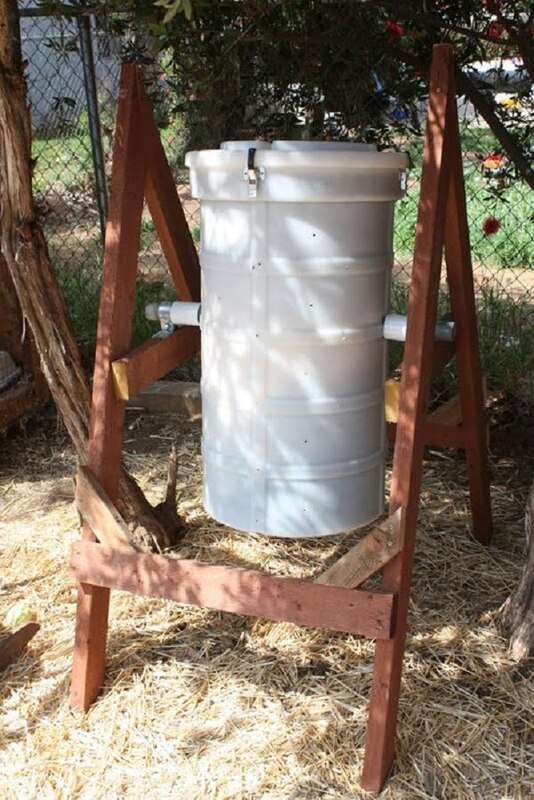 This way you can churn the compost regularly and make it produce faster. It’s also easier to take out the compost than a stationary bin. You have to see the tutorial for this project and try it at home. Vermicomposting is a different way to create compost for your garden, and it can be done indoors without any bad smell. The compost bin is made of fabric, and all you have to do is sew this bag from cloth. The tutorial explains everything in details. 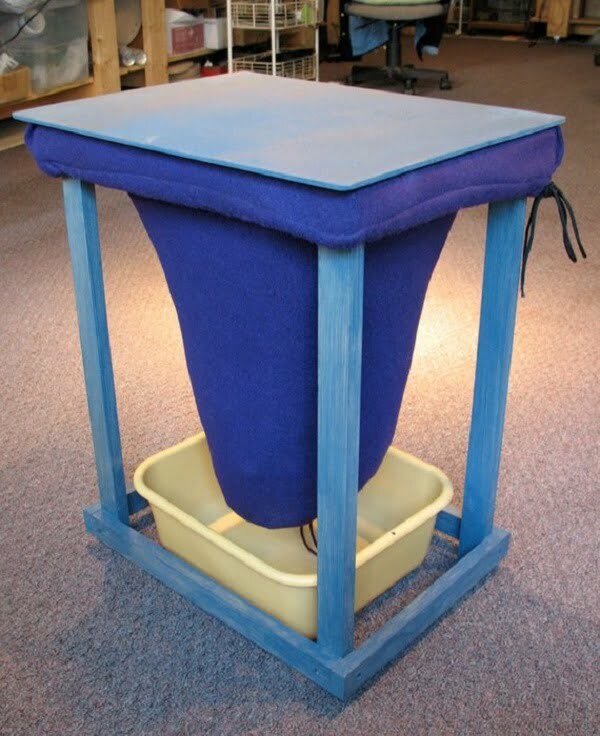 It’s easy to make a very simple cylinder compost bin from metal hardware cloth. Although it isn’t the most visually pleasing contraption, you can still place it somewhere in the corner of your garden. It does the job. So check out the tutorial for more details. 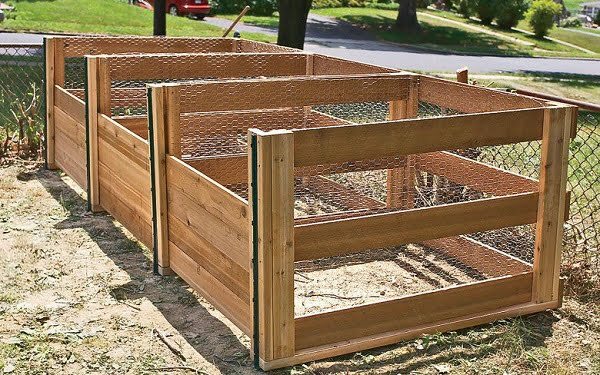 Chicken wire and wood boards make a great DY compost bin with all the qualities you need from one. All you have to do is build a wooden frame and lay out the wire. Such a bin provides perfect aeration for the compost, and it’s easy to use. Check out these plans and the tutorial to make one. Wooden pallets make an excellent building material for many things. 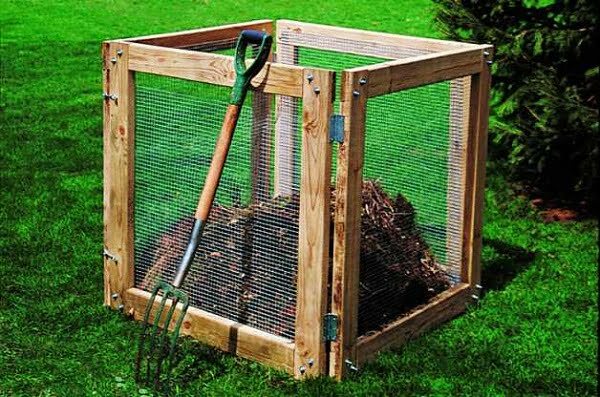 You can build a DIY compost bin of any size, and it will look like a reasonable construction in your backyard or garden. Check out this tutorial for a good idea on how to do it. 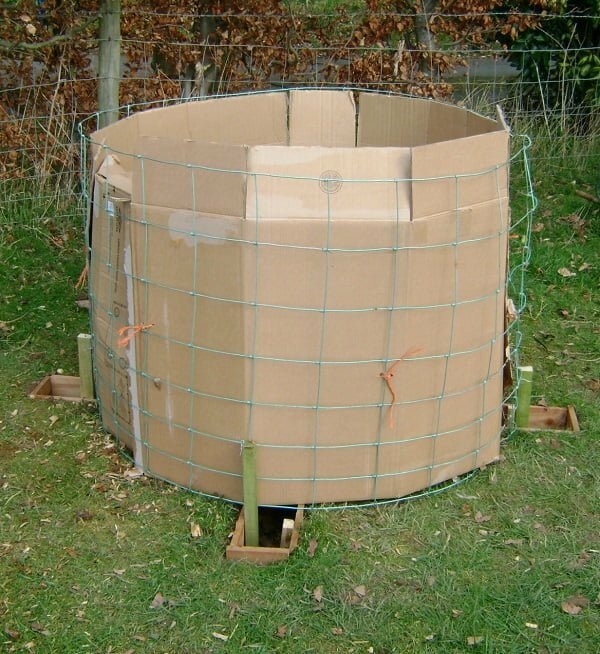 A good wooden frame is a basis for any decent compost bin. You need to invest some time into it, but you can be sure you’ll be getting a visually pleasing construction that will not make your garden look ugly. So check out these instructions for a great project. 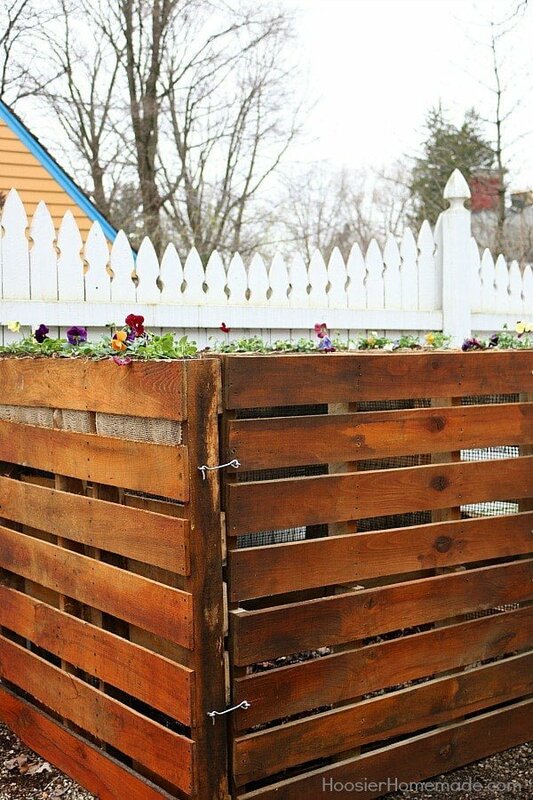 If you want to make your compost bin pretty, you have to think outside of the box. Making one that looks like tiny a beach hut is one way to do it. If you like this design, check out the project details in this tutorial.